What are Common Community Action Agency Risks? In the nonprofit sector, including community action agencies, assets can generally be categorized into 4 sections; people, property, income and goodwill. Anything that threatens one of these areas is considers a risk to a community action agency. With that in mind, what are some of the most common community action agency risks? Many insurance experts claim that one of the biggest threats to a community action agency or other nonprofit is the risk of injury to employees, volunteers, or the public. An injury may result from the organization’s negligence, or it may be a “no-fault” accident. Either way, however, your community action agency client can and often will be held liable for the injury. Damage to property is anther common community action agency risk. 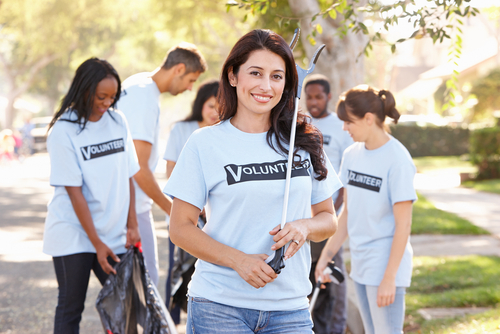 In addition to potential damage from storms, fires, or other natural disasters, your client’s property is also at risk of being damaged due to a disgruntled employee, a volunteer, or a guest of your facility. Even if the damage is accidental, someone still has to pay for it, and your client may not be appropriately financially prepared to do so. Data from many insurers actually indicates that employment-related legal claims represent the largest share of claims filed against nonprofits. Employment Practices Liability (EPL) claims can arise due to perceived or actual wrongful termination, sexual harassment, and discrimination among other issues. These are just a few of the most common community action agency risks. At Care Providers Insurance Services for Community Action Agencies, we understand the unique risks faced by your clients, including those who run or manage a homeless shelter. Over the years Care Providers’ exclusive program has expanded to include many non-profit classes, including Community Action Agencies (CAAs) – vital to our nation’s continued fight against poverty. Please contact us today for more information at 855-790-7379.